Tiago Guma. A 29-year-old Brazilian jiu-jitsu (BJJ) Black Belt, killed in a road Rage in São Domingos do Maranhão, Brazil. Check out the breakdown and some Jiu-Jitsu street fight self-defense rules by Ryron and Rener Gracie. What we can see here is the white car that pulls up and the gentleman that pulls out of the car is Tiago Guma, BJJ Black Belt. He’s very active Jiu-jitsu Black Belt Competitor. We don’t know what happened before they both got out of the cars. We don’t know how they got into an altercation. Maybe somebody cut someone off but it’s not that important at all. At the start, they’re both on open and looks like they’re both defending their selves. Jiu-jitsu practitioner approaches the man with a motorcycle helmet. At that point, the other guy pulls out a handgun and it’s obvious that Tiago Guma sees that he’s got a handgun. There is no audio but we can assume that the man with a gun is saying “stand back”, “get away”. He’s saying that also with his body language as we can see him stepping backward holding the helmet out. He was actually retreating. Tiago Guma was advancing very persistently. He was going forward until he shoots in and takes down a guy with a gun. This is very important subject to be discussed because clearly, Jiu-Jitsu practitioner had Jiu-Jitsu and all the confidence that Brazilian Jiu-jitsu Black belt brings. The way he was addressing towards the man who was carrying a gun seemed very dangerous. Jiu-Jitsu instructors can ask themselves, “are we doing a good job if these things happen”. Brazilian Jiu-jitsu instructors when equipping practitioners with Jiu-Jitsu techniques and confidence should also equip practitioners with rules of engagement, recommendation, humility, and knowledge when not to use their Jiu-jitsu. By doing so practitioners should know when to use the highest level of Jiu-Jitsu in self-defense even at the expense of their own ego. When Speaking about Street fights. Getting into a street fight is easy, not fighting is difficult especially when there’s ego involved. Let’s just say there’s no firearm and people are just arguing. The difficult thing in that situation is to say, “I won’t fight, I’ll stop arguing and I’ll just go home”. That’s actually very difficult to do if you’re trained in effective martial art. it’s very difficult but very wise and highly recommended. That’s exactly Jiu-Jitsu. You shouldn’t be concerned about people saying, “oh he’s coward, he walked away”. You should know that you did what is the best thing for you. If there’s ever a possibility, ever an option to walk away you should walk away. Let’s say in a street fight, people are arguing and pushing each other and someone spits on someone and then it’s a fight. The Second the other person start backing up, the person you’re in an altercation with there should be no more fight. If you say, “no, we have to fight after he spits on me”, that’s not right. It’s simply not applying Jiu-Jitsu no matter of Jiu-Jitsu moves you’ll do in that fight. That’s not self-defense. That’s self-offense. Even if the person doesn’t back up if the other person is just standing his ground you should say, “listen, I don’t wanna fight” and you step backward. That’s ok, you’re just testing the waters. But if you step back and he steps forward now you can say “ok, I can’t turn my back anymore because he’s not gonna give me any distance”, and you need distance to get away. That’s the situation where you have to fight and defend yourself. We are strong advocates of self-defense and street application of Jiu-Jitsu. We’re also advocates of the conversation of weapon defenses and the highest level of weapon defenses and to never apply any weapon defense technique when you have any other option. That discussion happens on a regular basis. If Jiu-Jitsu is being taught purely as recreational hobby and instructors in Jiu-Jitsu are not applying and having the discussions when they should apply Jiu-Jitsu in a street fight that’s our biggest concern. You might disagree with any martial art school that teaches weapon defenses. Knife, gun, stick, machine guns or anything between and be critical about it like”that fun defense will never work” etc… The reality is whether or not the specific application of some technique will work is secondary fact that in that academy there is a discussion about dealing with a weapon bearing opponents. And if there’s never weapon on the mats and the discussion about weapons means that the instructor will never have the chance to say the most important advice about weapons. And the most important advice is if someone ever has a gun and they want your wallet do whatever you can to give them your wallet, deny the ego, and walk the other way. That discussion precedes the teaching of every weapon defense instructors should ever teach. So, no matter what technique you will learn that discussion is the foundation. Watching this incident triggers a memory simultaneously for us that our grandfather Helio always said: “giving someone Jiu-Jitsu is like giving them a gun“. And to give someone a gun without responsibility, rules of engagement, integrity, and the intelligence for the judgment on how to use that weapon safely, efficiently and properly is a liability, not only for them but for the whole society. When we saw the video you saw the BJJ Black Belt in a street fight advancing towards a man with a gun. He was acting like he was the guy who had a gun. We can attribute that to a fact that he had Jiu-Jitsu in a most profound way possible. We’re speaking to all teachers of Jiu-Jitsu in the world. If you’re gonna give your students Jiu-Jitsu you also have the responsibility to give them knowledge, judgment, and the rules of engagement on when they should use techniques you taught them. If you’re watching this and you’re a student of Jiu-Jitsu training in the type of academy where this kind of context of real-life application of Jiu-Jitsu is not being provided you can hear it from us. You can hear something like this from anyone that makes sense to you and you can run with it. The Most Common Saying “I Don’t Start Fights, but I don’t Walk Away From Fights”. What’s that saying “I don’t walk away”, means if there’s a little bit of an argument and someone is puffing their chest I’m not gonna be the one to walk away. Well, that’s not Jiu Jitsu. Jiu-Jitsu is to walk away, it’s the path of taking the least resistance. Brazilian Jiu-jitsu is the efficiency, survival, preservation and all the things you get when you walk away. So, to say I don’t walk away is like running your head into a brick wall. Are you just gonna keep running into the wall? Well, no, you’ll just walk away. Yes, you should Walk Away from the street fight. The most difficult fight is the one you walk away from. Getting into a fight is easy because you have your emotions taking control of you. Letting your emotions taking control of you in fights, business, relationships, friendships, in the academy, out in the streets etc… is easy. The hard part is to check your ego. Approximately 99% of fights would be avoided if they weren’t for ego and alcohol. We’re not sure but, probably, this fight in the video falls into that category. There are times when you should really fight for what’s yours or for your people and people you love. Even for someone who can’t fight for themselves. There are gonna be situations where you’ll die or you’re gonna die trying like and active school shooting some time ago. There is no question what you’re gonna do in those situations, but this one with Tiago Guma is not one of them. If any fighting situation is avoidable your option should be clear. The decision to walk away from the fight cannot be contemplated only when the moment arrives. That decision has to be made now in the calm environment when you’re sharing ideas, talking and thinking about street fights. Discussions like this are practice so if you’re ever in the moment you can say “this fight is not worth it” and to walk away. Just like you’re practicing triangles, armbars etc… you should practice the mentality of defending our selves against ourselves in the moment of truth out there on the streets. If you don’t build that resilience to check your ego when the situation on the street come that resilience won’t be there. It’s not going to show up when you need it the most. That means you should be apologizing even if you’re not wrong. You’re doing it not because you’re afraid, but because you know it’s the smart decision. 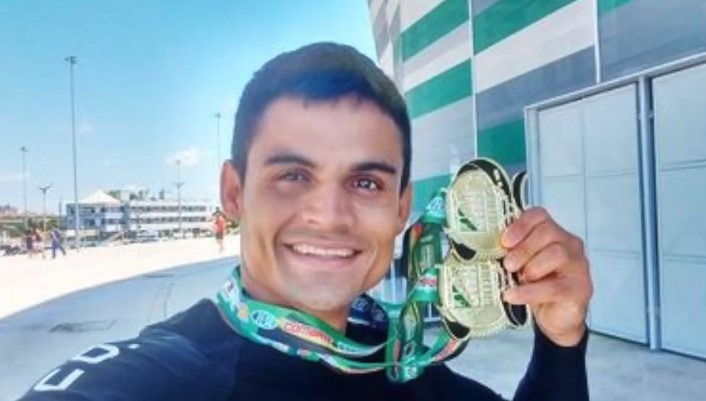 WARNING: Graphic Video – Viewer Discretion AdvisedOn April 24, 2018, BJJ black belt and accomplished competitor, Tiago Guma, was fatally shot in road rage altercation in Brazil. Although the incident and the footage is very disturbing, Ryron and Rener use this opportunity to discuss the critical role that martial arts instructors have in teaching their students not just when to use their physical skills, but more importantly, when not to use them. Analyzing and learning from tragic events like this are the only chances we have to prevent them from ever happening again. BJJ and street fighting! Is BJJ Really The Best Martial Art for Street Fighting? Next articleDo You Have The Best BJJ Style For Your Body Type?